Today, thanks to my wonderful friend Stu, and to my wonderful mother, I have a collection of records of (primarily) American songs done by performers from around the world. Nearly a year ago, Stu gave me the great gift of a stack of 7 inch records from around the world, picked up at some record store or thrift shop in Chicago. What they have in common is that they each contain at least one song which would be familiar to music fans in the USA (well, during the '50's and '60's, anyway). 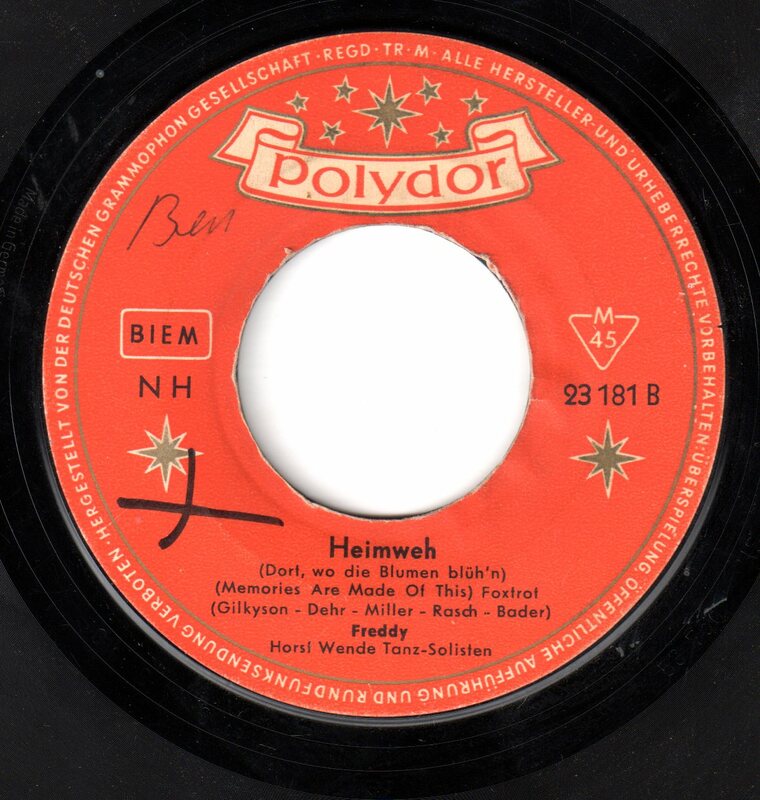 First up is Freddy, apparently a well known German singer, with versions of two American hits from 1955-56, Sixteen Tons & Memories Are Made of This. Perhaps someone who speaks German can confirm my suspicion that these are not translations, but instead are complete rewrites, to the original tunes, but with new subject matter. 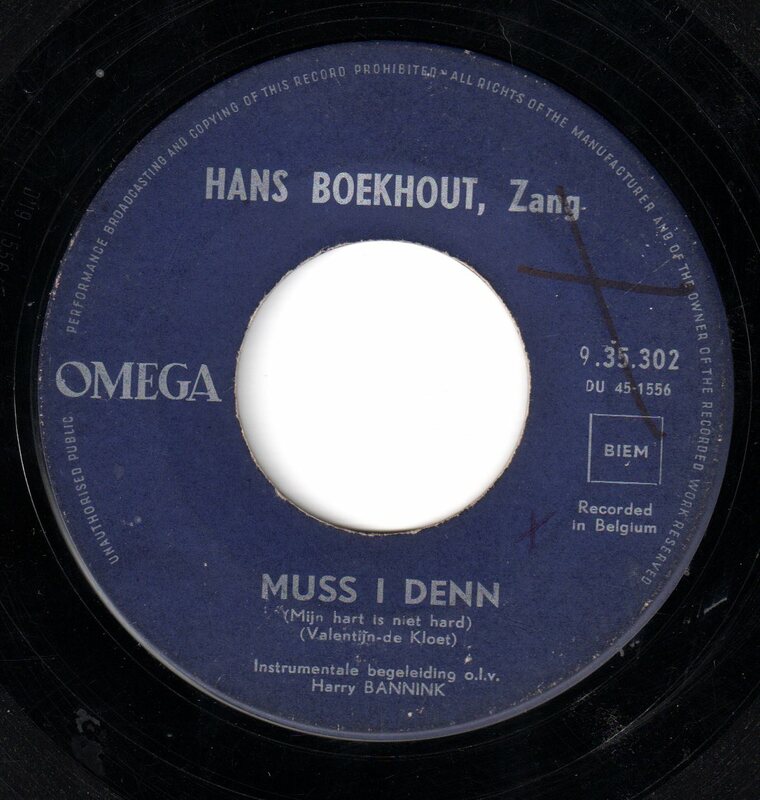 The next record, recorded in Belgium by Dutch singer Hans Boekhout, doesn't actually feature an American song, but it clearly would not have been made if not for the fact that Elvis had a worldwide hit (well, outside of the US, anyway) in 1961 with a rewritten version of the German song Muss I Den. 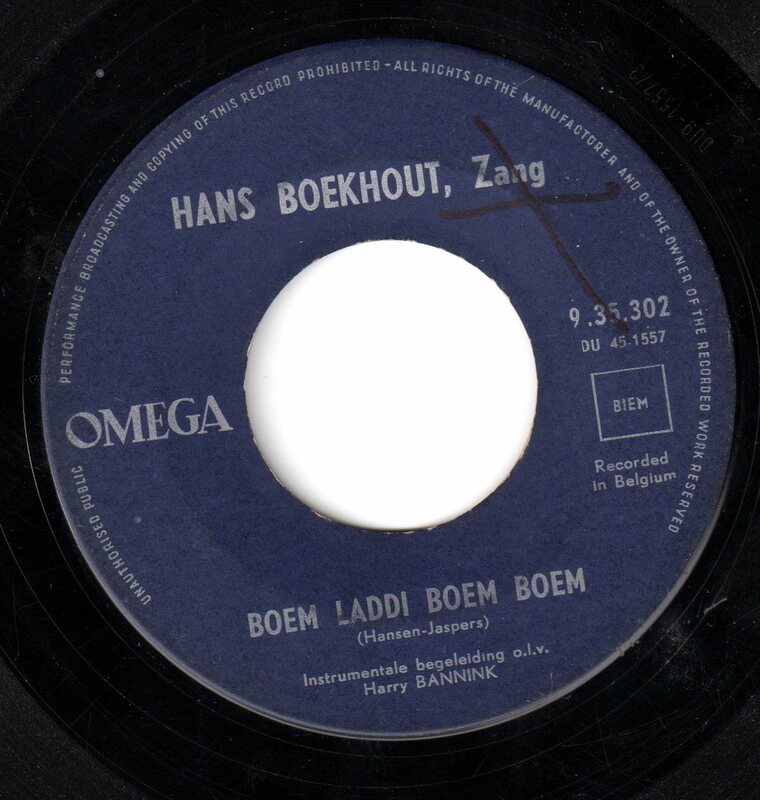 Although this is not the version Elvis' recorded (with the lyrics "Wooden Heart"), the arrangement is nearly identical to that of the Presley record. The flip side is actually my favorite of the two by far, although I've no idea what he's singing about. The third record that was part of this gift is a 33 1/3 EP. 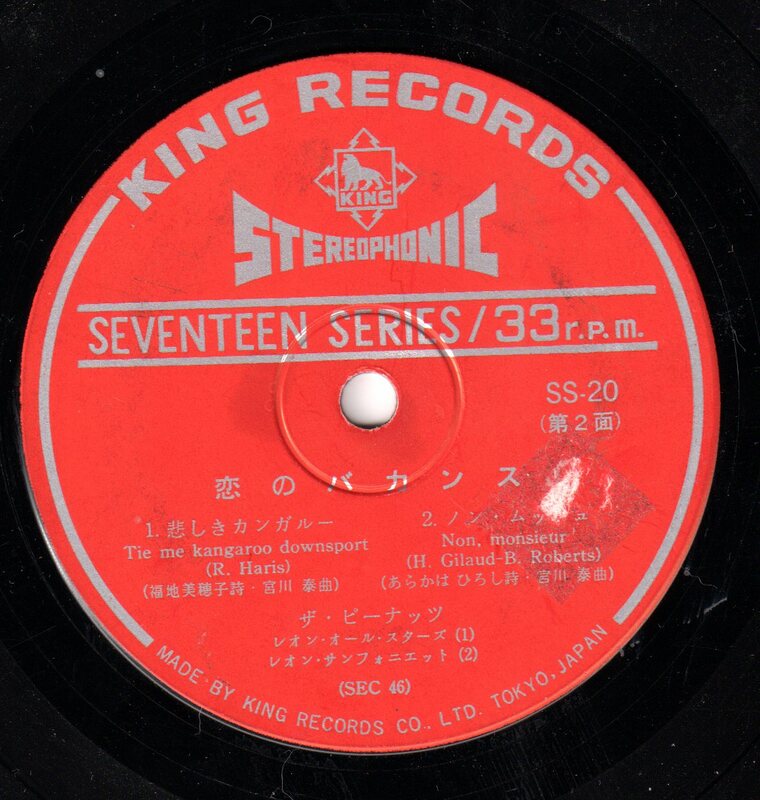 Nearly everything written on this record label is in Japanese, aside from the record company information and the names of two songs, one in English (Tie Me Kangaroo Down, Sport - I know, not an American record, but still, a major hit here) and one in French (Non, Monsieur). 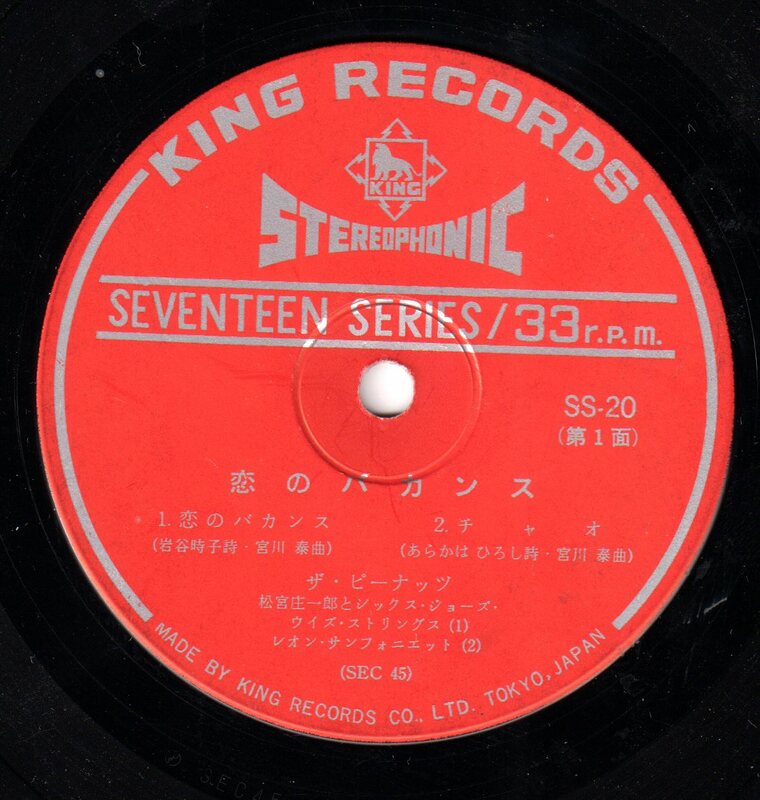 But with a bit of digging, I've determined that this record is by a Japanese duo called The Peanuts, who were actually written about on this site several years ago. I was not, however, able to determine the names of the two songs on side one of this EP. And finally, a surprise offering from my mom. These tracks may be very familiar to some, or may be as complete a mystery to everyone else as they are to me. I am slowly plowing through a project of listening to my mother's hundreds and hundreds of cassette tapes, which contain everything from her voice lessons, to opera recordings to broadcasts of British Radio Quiz Shows, to performances I took part in while in school, as well as her own live performances and so much more. At the end of one tape were these five songs, labeled "Chinese Songs". In reality, four of the five are pop songs from the first half of the 1950's, including the fairly obscure "Where Will the Dimple Be? ", the original of which featured a hero of mine, Thurl Ravenscroft. The one track which is not an American pop song (the second track below) is a melody which is very familiar to me - presumably a Chinese song - but I don't know its title. I know nothing more about these recordings. Sorry about the poor sound quality - I've cleaned them up some, but they were recorded very poorly on the tape. ...and Peanuts song #1 is (I think) "Koi no bakansu" which should mean something like "Love of vacations/holidays." the freddy songs are definitely rewrites. And the second is certainly "Chao," but this is simply the katakana version of "Ciao." The world and the people in it are amazing, no? Jambalaya is by old favorite Chang Loo! I put that wonderful Hank Williams cover on a WFMU Marathon premium about 15 years ago. 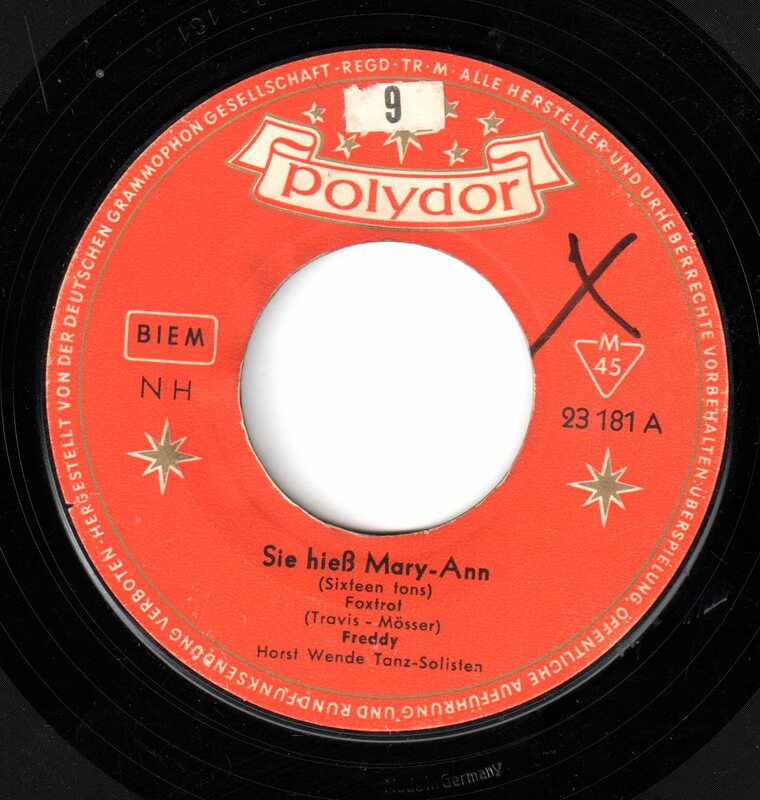 First Freddy song translates as "Her Name Is Mary-Ann." The second transalates as "Nostalgia" or maybe "Homesickness." I love za Peanuts, and I didn't have this record. Thank you! It's still relatively easy to get compilation CDs of their singles and/or hits, but not always the b-sides. Christopher is correct with his translations, although I'd use a little poetic license and translate Koi no bakansu as something like "Love takes a holiday". Goofy/cool variety show video, complete with slapstick and male vocals, for Ciao here (at least as of time of writing): http://www.youtube.com/watch?v=qJqnzxeA0Dk. Thanks, all!